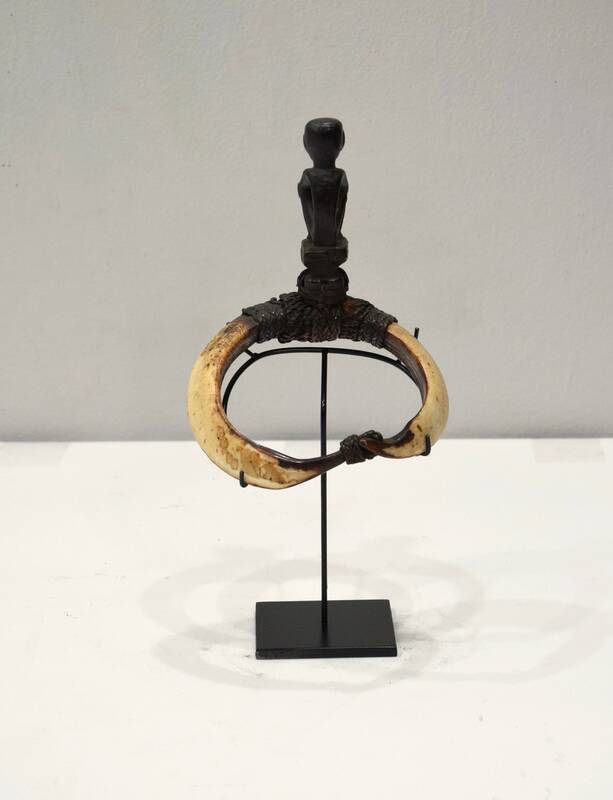 This is a fabulous hunters Double Armlet from the Ifugao Tribal people of the Norther Luzon, in the Philippines. 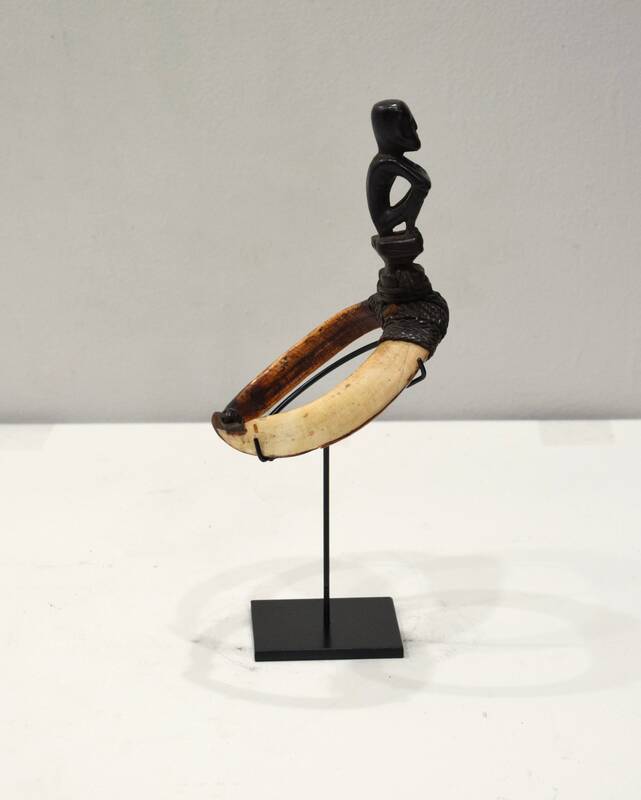 This Double Wild Boars Tusk Armlet a" Tangkil" has a Carved "Bulul" a Rice Guardian with a tuft of hair and wrapped with rattan on the Boars Tusk. The Rice Guardians resemble the figures found on their gong handles. Armlets are worn by Ifugao Males. 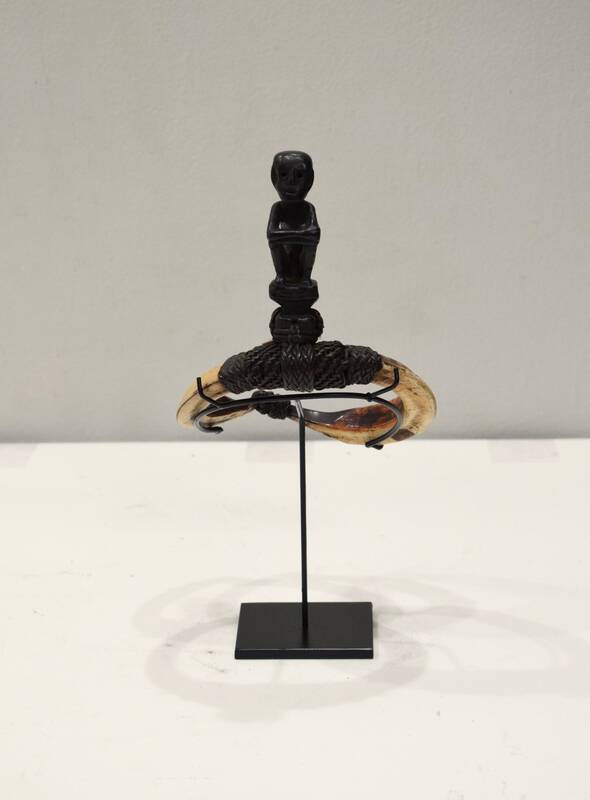 This armlet is worn on the upper arm by Ifugao tribal warriors as an ornament before head hunting. The boar’s tusk impart the ferocity, endurance, and strength of a wild boar. At the age of the male initiation, a young man must go alone into the mountains to hunt for a wild pig, whose tusks will be used to make the armlet. Only after that can the young man participate in a head hunting expedition, as he has transitioned into manhood. A double Boars Tusk is more prestigious and would entitle the young initiate to have two armlets. 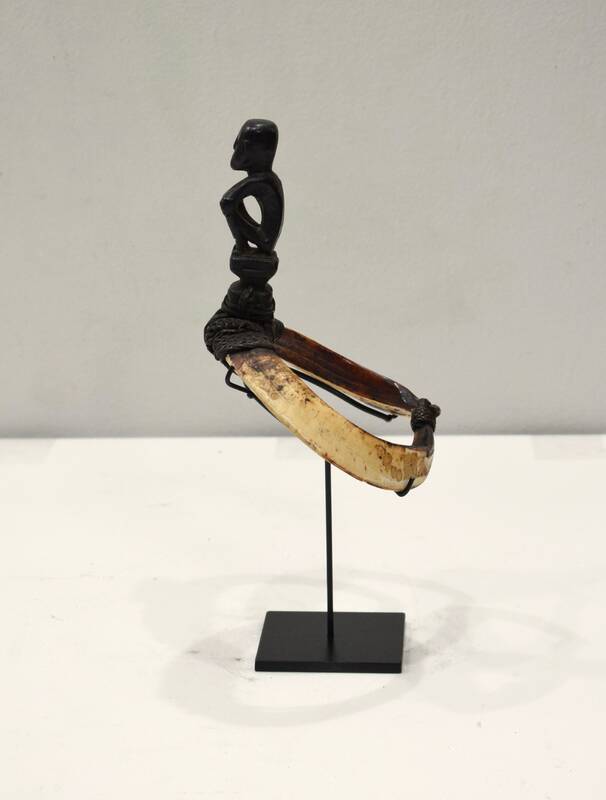 This a unique artifact from the Ifugao people of the Philippines. It was collected in the field and would make a wonderful addition to your collection.